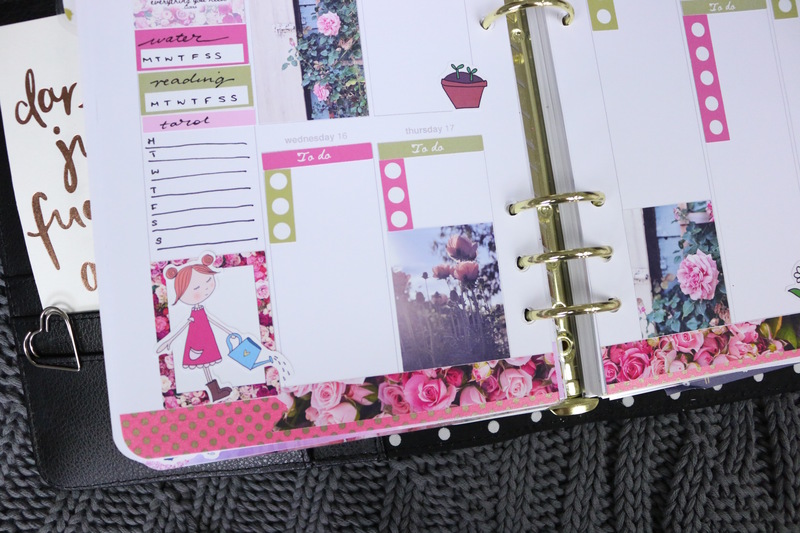 Hello lovely planner friends. 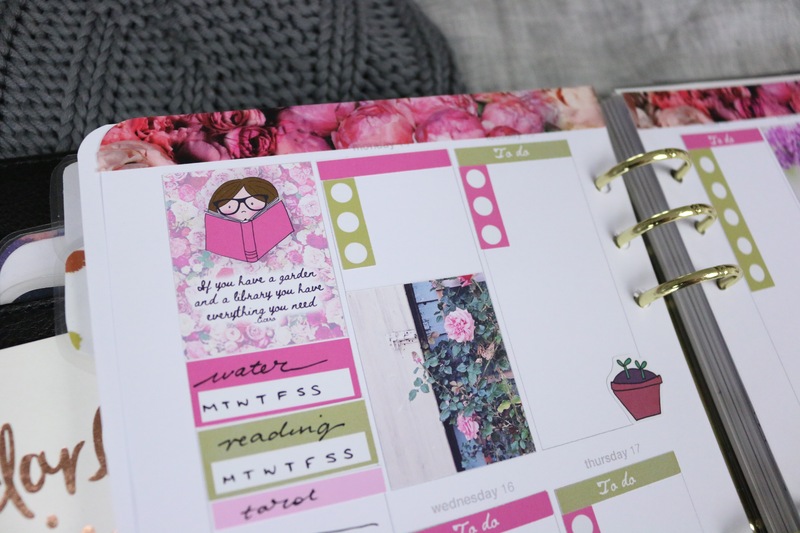 Here in Australia, I'm currently sitting in air-conditioning to save myself from the 40 degree weather - and while I'm not a fan of the very hot Summer weather we get here, it's a great opportunity for me to break out my very favourite colours in my planner. Read: pink. While the sticker kit I used for this layout (An English Garden Sticker Bundle) is technically a Spring layout, the bright colours really remind me of Summer, because everything's so light and bright outside. Another quick tip: this kit came with gorgeous illustrated and photographic full boxes, which I loved using, but sometimes you just need to make your own boxes! The little girl with the watering can in the bottom left corner is one of Anna's illustrations on top of a blank box and I love the way it looks with the girl coming off the side of the boxes. It adds just a touch more whimsy (and makes me so happy!). 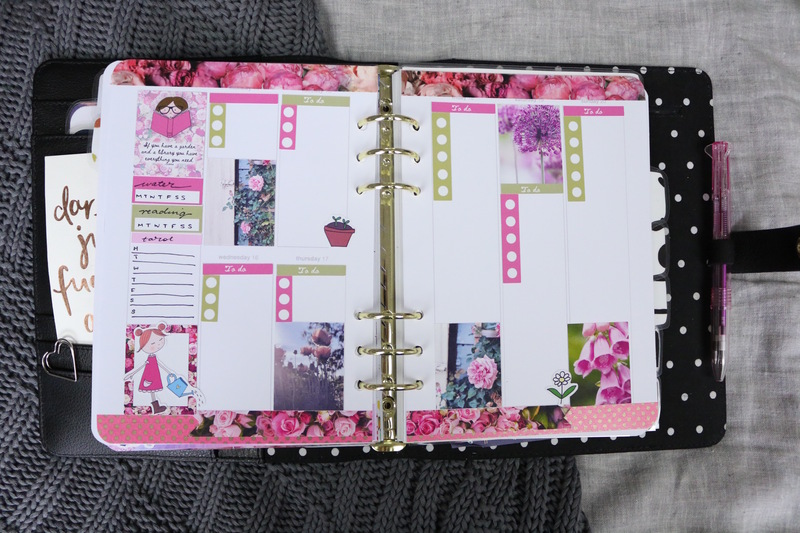 We all know there's no one 'right' way to plan in your planner - your system and your decorations (if you choose to decorate) have to suit you and your lifestyle. Being happy with what you create is the most important thing! I love how this layout turned out, and every time I see it I smile. That's how I know it works for me.